I am the first to say that I’m not hugely into beauty products or cosmetics. I don’t wear much make-up, I wouldn’t know how to applying foundation without turning myself orange – and don’t even get me started on contouring! One thing I do care about though is my skin. Quite honestly I don’t want to look like an old hag when I’m older. I value good products that keep my skin hydrated, and as I’ve gotten older I’ve finally accepted that you do get what you pay for when it comes to some moisturisers. I’ve worn day cream and night cream for years now, but I hadn’t branched into the realms of eye creams. However, since having Piglet I can notice the area around my eyes taking a bit of a battering and decided it was time to do something about it. 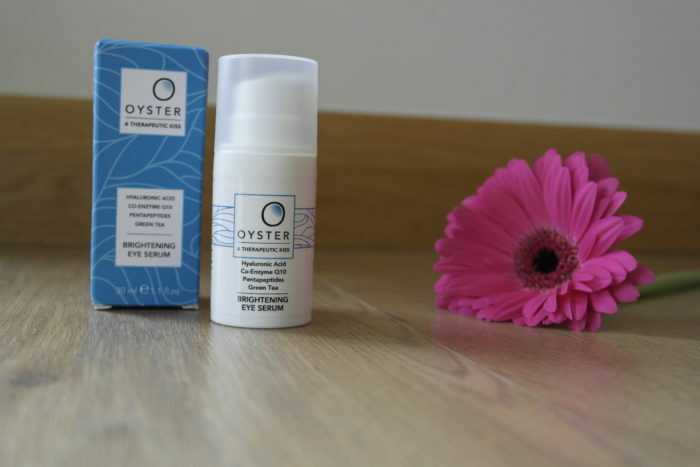 Oyster Skincare Eye Brightening Serum is specially formulated to reduce puffiness, dark circles, crow’s feet, eye bags, fine lines, and sagging skin under and around the eyes. Thats a big claim for a little serum! The instructions tell you to apply morning and night on to clean skin, much like any other moisturiser. You are instructed to put a small droplet onto your middle finger, break it with the middle finger on the other hand and then cup your hands to inhale the aroma. That might seem a little over the top to some, but I already have a night cream that recommends a similar process and so it is natural to me. 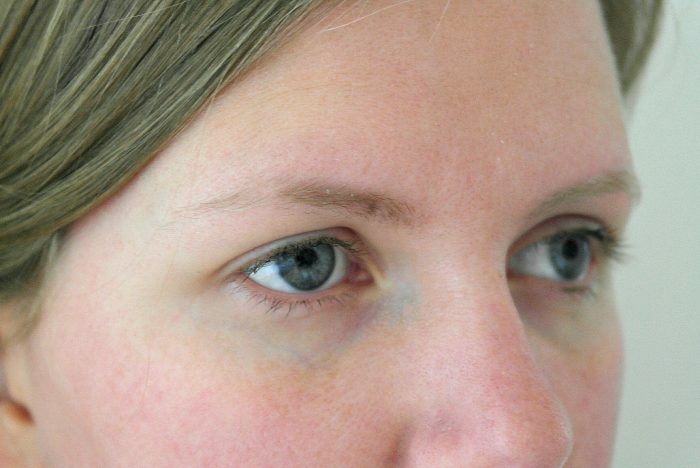 You then simply pat the serum under each eye and along your brown bone. I’ll admit the smell of the serum is not what I expected. It has a very strong aroma made up from an essential oil blend of lavender, grapefruit and mandarin. The mandarin really stands out for me. It is not an unpleasant scent, but it is strong. For this reason I have opted to not apply the serum in the evening as it clashes with the scent of my night cream. When applying the serum it seems to have an invigorating affect. Perhaps it is the aroma, or the work of the serum itself, but it makes me feel more awake. Very useful on the mornings when Piglet has been up earlier than I would like. Overall it has been a really pleasant serum to use. It absorbs well and doesn’t sit on my skin making it feel greasy at all. The scent is refreshing and it’s a great product to use first thing in the morning. 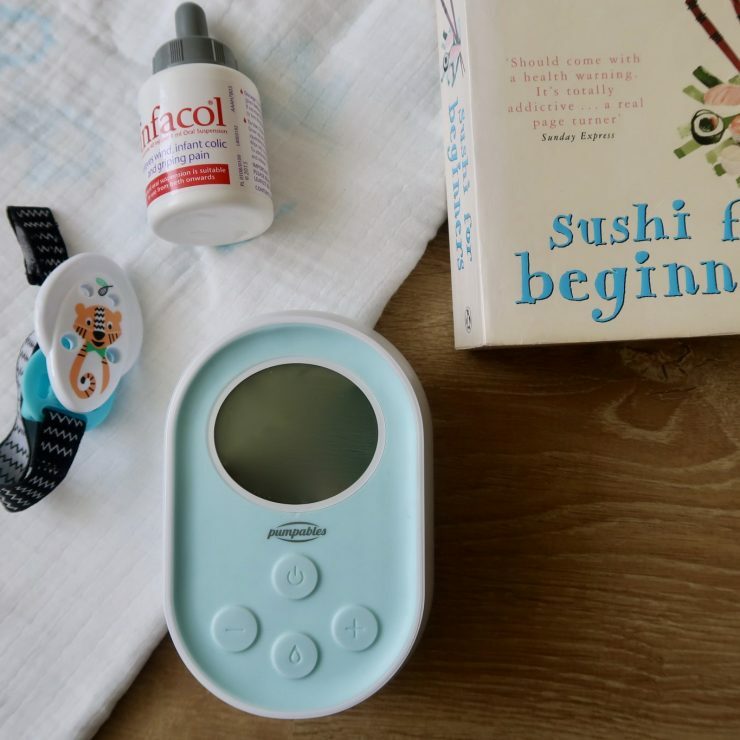 If you fancy trying the Oyster Skincare Eye Brightening Serum for yourself then enter to win one using the widget below. 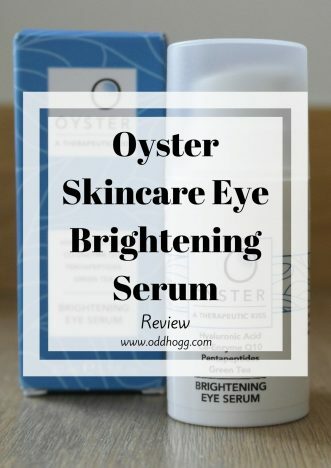 Please note – I was sent an Oyster Skincare Eye Brightening Serum for the purpose of carrying out a review. All words and opinions are my own. I am relieved that I am not the one who has no idea when it comes to contouring! I also don’t wear make-up very often. I do however take care with moisturisers and I am always on the lookout for a good serum. I think this is one that I would apply in the evening because the lavender would hopefully help me sleep! It’s good that it absorbs well as that is the problem I often find with serums. I will check this one out! 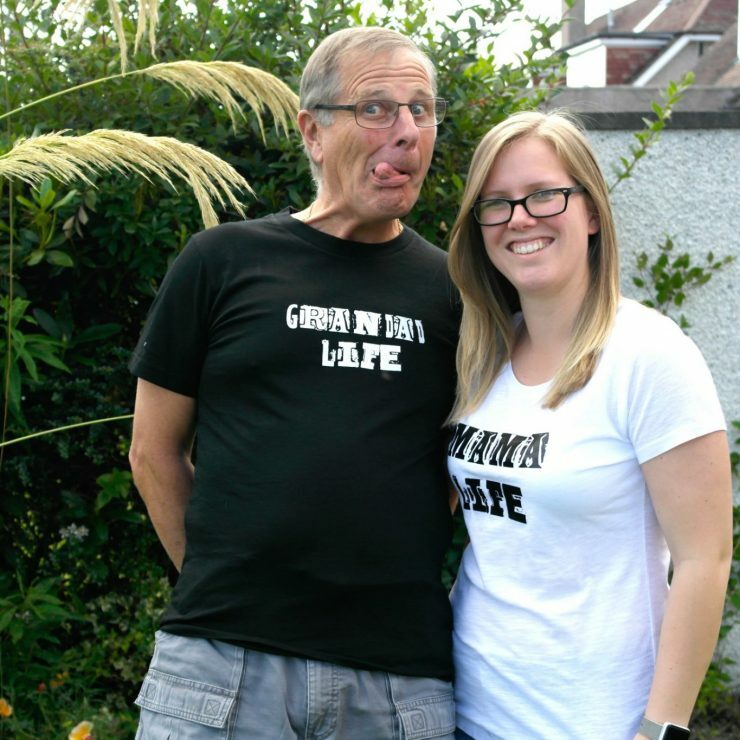 I am also rubbish with foundation and end up orange! Contouring has passed by. I sometimes manage a bit of mascara and lipgloss if I have an important meeting at work! But like you my skin is important. I have used the same brand for over 10 years but they recently stopped the eye cream which I love so I am in the market for something new and this sounds great especially as it absorbs well.